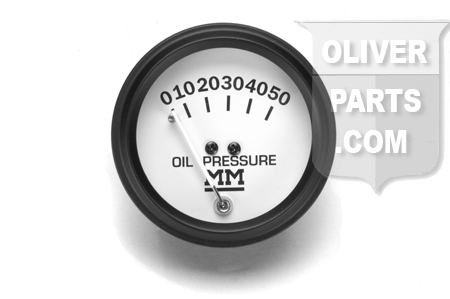 Gauge, oil pressure, "ORIGINAL" style with "MM" logo. 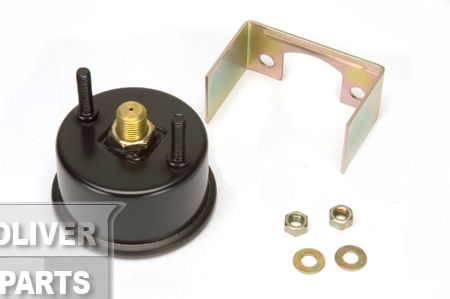 Fits 2" diameter hole. Tractors: Minniapolis Moline All letter series of G, G700, R, U, ZA, ZB, ZT; All versions of models 335, 445, Big Mos (400, 500, 600), STAR, JET STAR (1938 thru 1965). Replaces JT854, 10A7986.